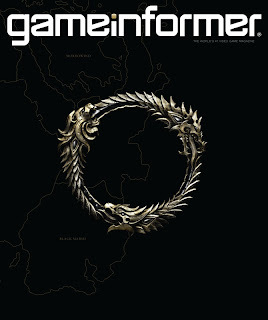 The June cover for GameInformer is going to be The Elder Scrolls Online. The game takes place in Tamriel 1,000 years before Skyrim and will focus on the Daedric prince Molag Bal's attempt to take over. Elder Scrolls Online will have PVP with three different factions and is currently in the works at ZeniMax Online Studios. "It will be extremely rewarding finally to unveil what we have been developing the last several years," said game director and MMO veteran Matt Firor, "The entire team is committed to creating the best MMO ever made – and one that is worthy of The Elder Scrolls franchise." More details will be revealed in the June issue of Game Informer. Look for a teaser trailer and some screenshots tommorow as well. The Elder Scrolls Online will be released sometime in 2013 on the PC and Mac.